The SKKK are proud and excited to welcome two world class instructors to the Honbu Dojo, Sensei Dave Hooper and Sensei Simon Oliver. All are welcome and encouraged to attend. This is a fantastic opportunity to learn from two top instructors. The focus of the course will be traditional Shotokan Karate from a brilliant practitioner of the art known as one of the best western technical instructors in the world. Please see below for more info on Sensei Hooper. Sensei Dave Hooper first took up karate as a schoolboy in England, in the 1970's. Nearly eighteen months later he made up his mind to go to Japan to train - the result of his first encounter with Osaka Sensei. 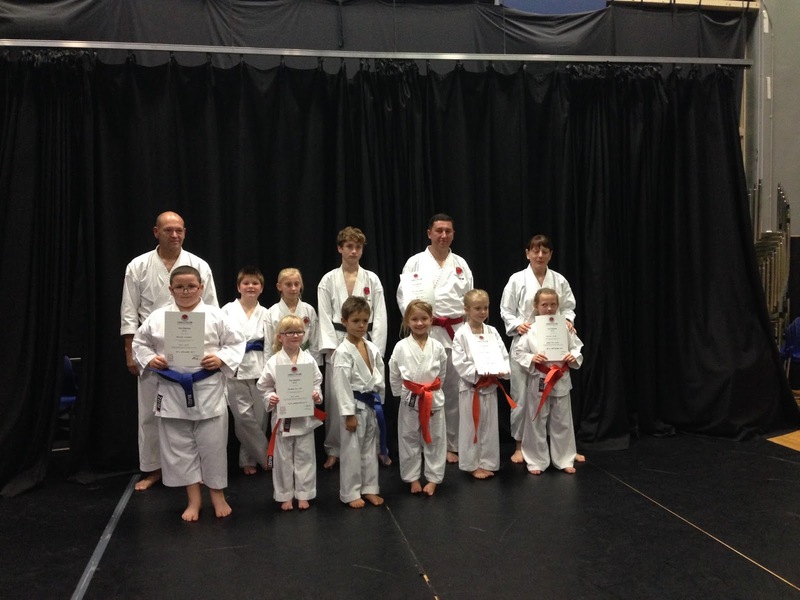 He had been invited to London as a guest instructor on a special course. Within ten minutes of being in his class, Hooper Sensei realised that here was a totally different level of karate. It was this karate that he wanted to learn, and this was the person he wanted to learn from. He informed him at the end of the session that he would be coming over to Tokyo as soon as he had finished high school. He arrived at the JKA Honbu (the headquarters of the Japan Karate Association) about one year later. Hooper sensei was shocked to find that no other Englishmen had got in ahead of him, but it was an even greater shock that four French dan-grades were already well-entrenched at the JKA: He could already see that training here was going to be far worse than he had previously imagined. He practiced regularly, six days a week, for the next year and a half, and was awarded shodan before returning back to the UK, to begin a three-year undergraduate course at university. In order to maintain the level of training to which he had become accustomed in Japan, he ran a club at the university in Wales. During this period, he was introduced to Kawasoe Sensei, and periodically, he would travel the 250 miles down to London to practice at his own dojo - a dojo that was straight out of Japan. Apart from a brief visit back to Japan in the summer vacation Hooper Sensei had to wait until graduation before he could return to Tokyo and resume his training at the JKA. This second stint in Japan lasted for the next four years, during which time he was invited to train at the infamous Takushoku University Karate-bu (club), from which many of the JKA instructors (Kawasoe Sensei and Osaka Sensei included) had graduated. He was also a member of Nakayama Sensei's private dojo (The Hoitsukan dojo) for a couple of years, in addition to continuing his training at the JKA. Hooper Sensei took sandan under Nakayama Sensei in the summer of 1985, and then returned to the UK for another three years where he completed a Ph.D. in motor-control and learning, also at the University of Wales. During this period, he once again ran the university karate club, but much more on the lines of Takushoku's training regime. He was encouraged to realise that contrary to everything he was told on his return, British students were, in fact, quite receptive to this style of training. In 1988 Hooper Sensei left Britain for the last time, and went back to Japan to live, currently working full-time in one of the major universities in Tokyo. The first session will focus on self defence and close quarter techniques designed to assist you in real life situations. The second session will cover similar criteria designed only for adults and senior grades. Please see below for more info on Sensei Oliver. Simon Oliver comes from a background of Martial Artists. His father and uncle studied various styles including Judo and Ju-Jitsu. 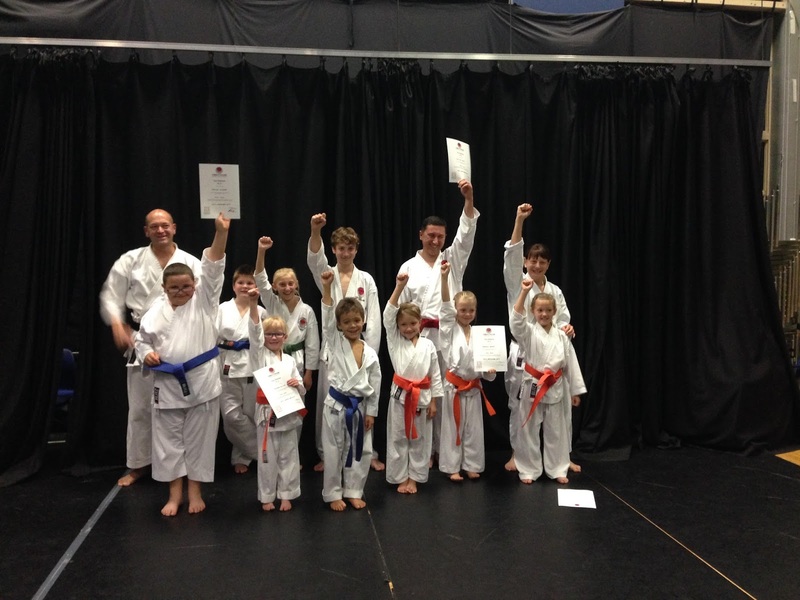 Simon originally started training under the guidance of his grandfather, who had studied Ju-Jitsu with Tani Sensei. But when the front lounge became too small his father enrolled him in the local boys Judo Club. However, on seeing a dynamic display of Karate at a local fair Simon decided he wanted to train in this instead. 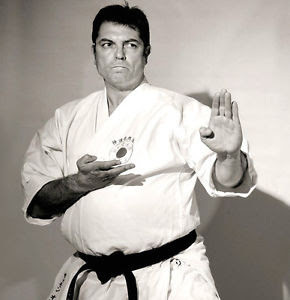 So after pleading with his father he joined Wado-Ryu Karate (in 1968). 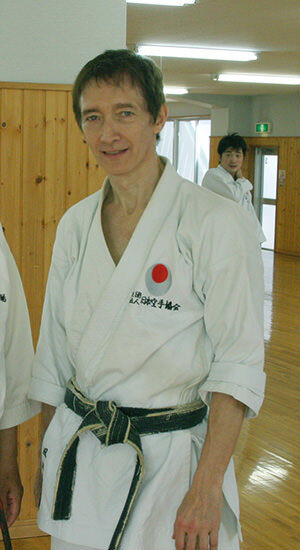 He achieved the rank of Shodan in 1972 and won Junior Kumite and Kata in a local competition. This was to be the beginning of Simon’s career and study of Karate. His family then moved to Doncaster where Simon studied Shukokai. However his greatest influence came from meeting Terry O’Neill Sensei at a Shotokan seminar in 1975. In 1976 he moved to Nottingham, he started training with Sensei Shiro Asano but unfortunately training times clashed with his studies at Trent Polytechnic and with his part time job with the Nottingham night club security business, so he started training with a small KUGB dojo and travelled to Liverpool once a month to continue his training with Terry O’Neill. It was not long after this that Simon opened the Zanshin dojo with two former students of Sensei Asano’s. His dojo proved very successful. Although having competed for many years Simon has become renowned for his traditional, defensive techniques found in Kata. Simon has since spent many years studying Kata in depth and has intrigued and inspired many karateka around the world with his seminars, demonstrating practical interpretations of kata movements (Bunkai, Oyo and Henka). He has released many video’s to explain and help develop a better understanding of kata and has been the focus for many magazine interviews. In 2003 Simon and Terry O’Neill held a seminar alongside Sensei Konishi and Sensei Yamazaki at the Konishi Kata World Championships and All Masters seminar in Brighton. Simon joined JKR in 2004, and he is currently based in Nottingham as UK Chief Instructor and European Director. We look forward to seeing you all there for a full and productive class. Congratulations to our students who have successfully graded.